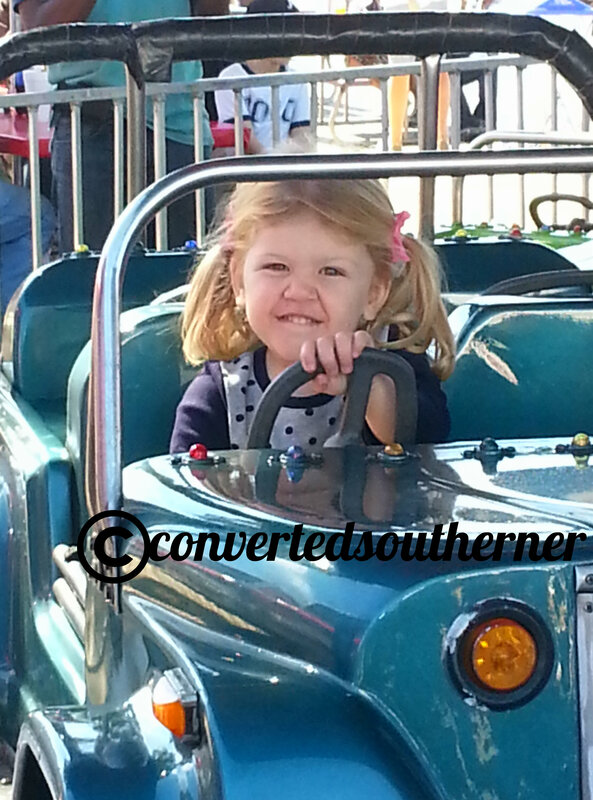 It is fall, which means Sate Fair time! 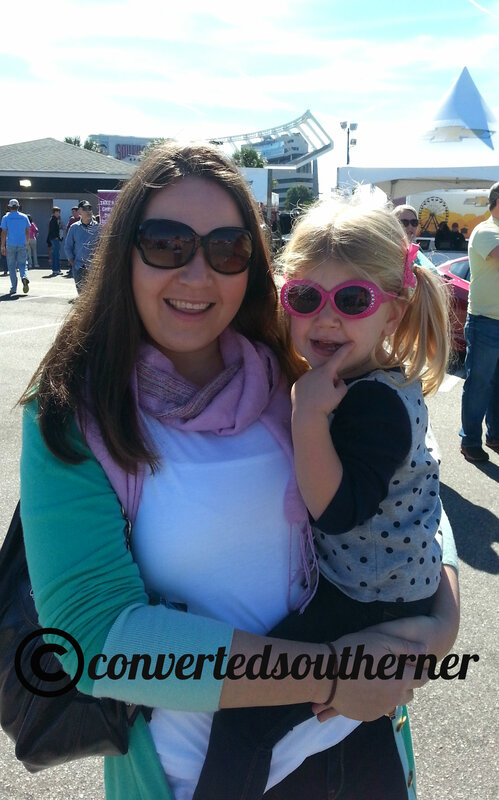 I love going to the fair each year- it is the one place each year where I don’t give myself restrictions on what to eat. It is also a great place to see cool things our state is doing and people watch. 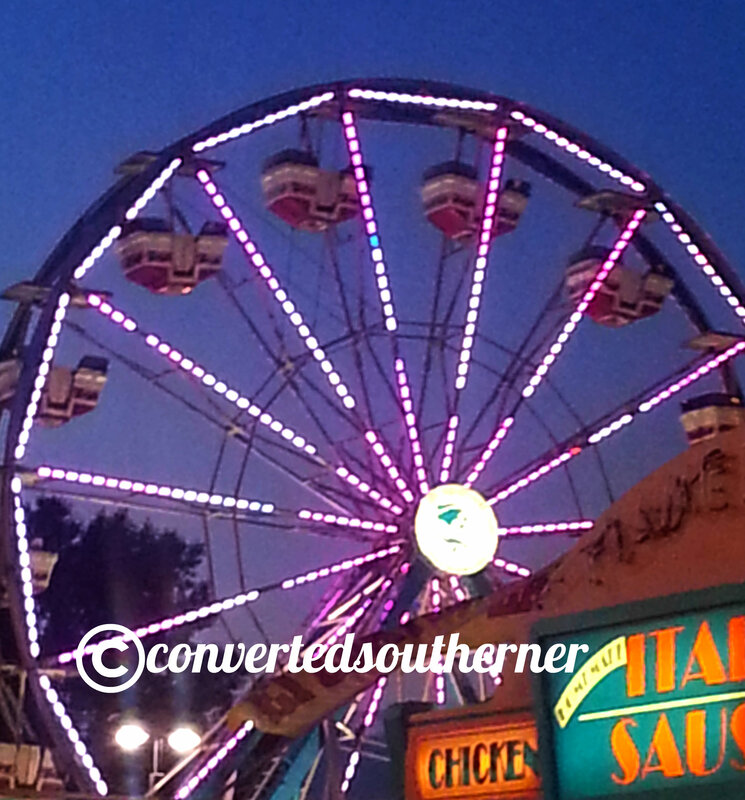 One of my friends does PR for a neighboring state, so he spends a part of the fall traveling to all of their state fairs (main one, western, coastal, etc). 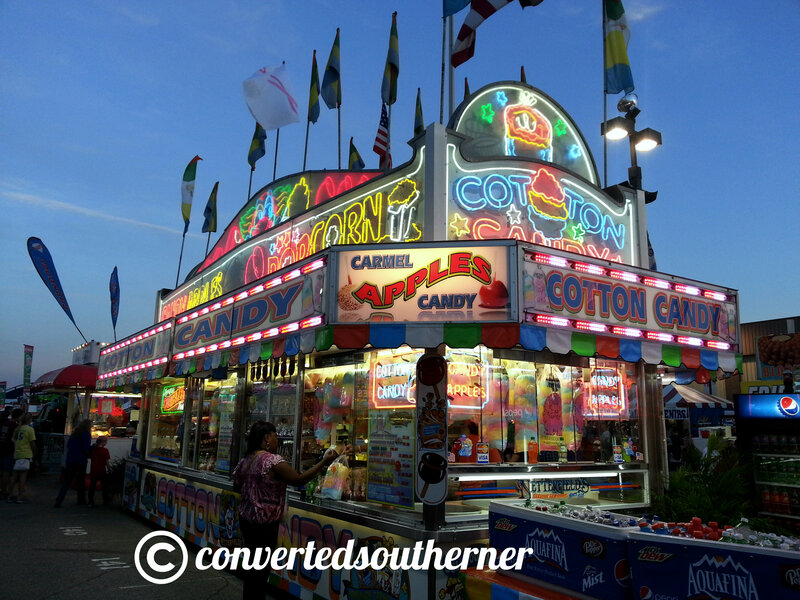 He had been posting picture of fairs since early September, so I was ready for ours to get here this month! I went twice- once with my students and once with a group of friends. Below are some highlights from both. 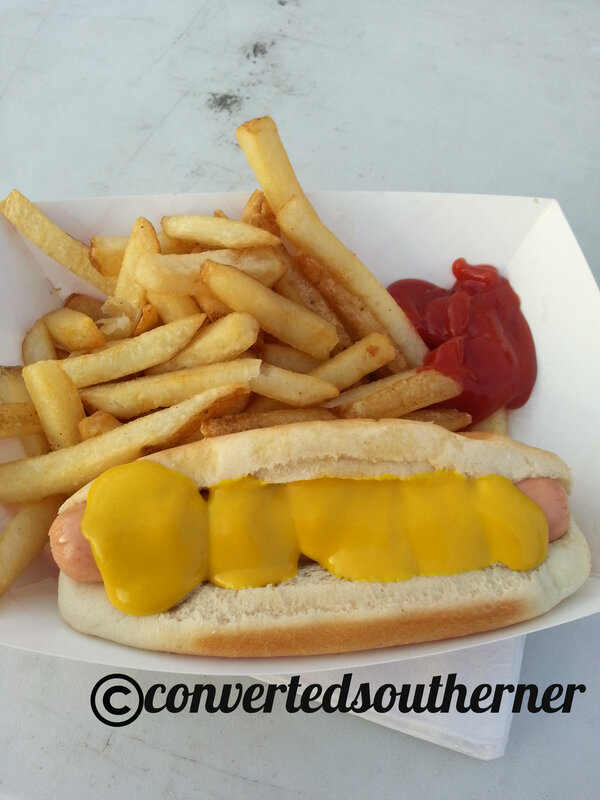 Dinner on the first night, I like mine with more mustard than hotdog. 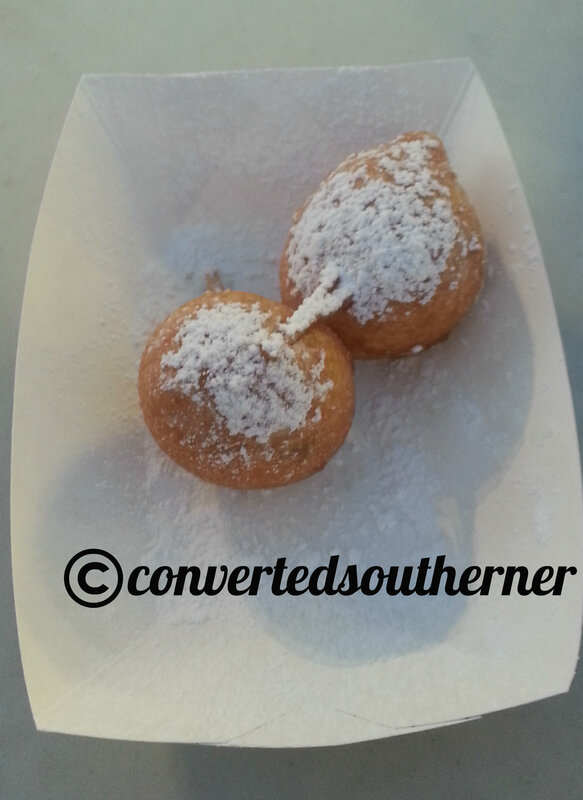 Deep fried cookie dough. I can’t take all that sugar of the normal four, so I ask for a half order. 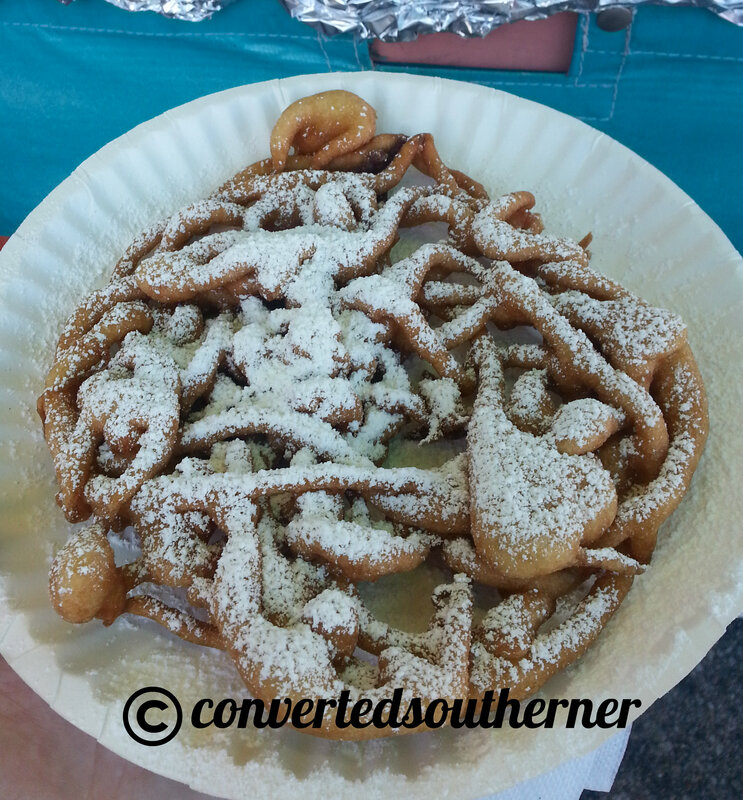 On the second trip I passes up the cookie dough and got funnel cake! 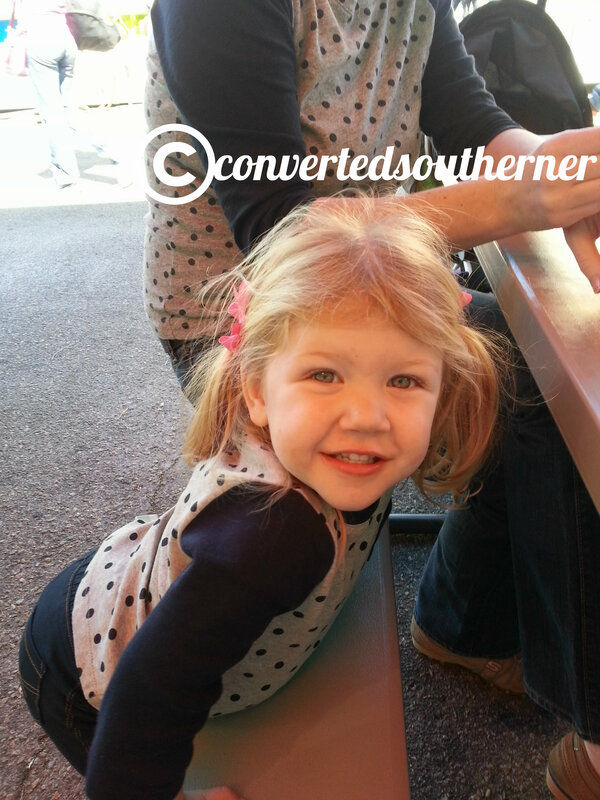 Hanging with my sweet niece Bimmer. Love her! Come on… she is the cutest, right? Ready to take her driving test? 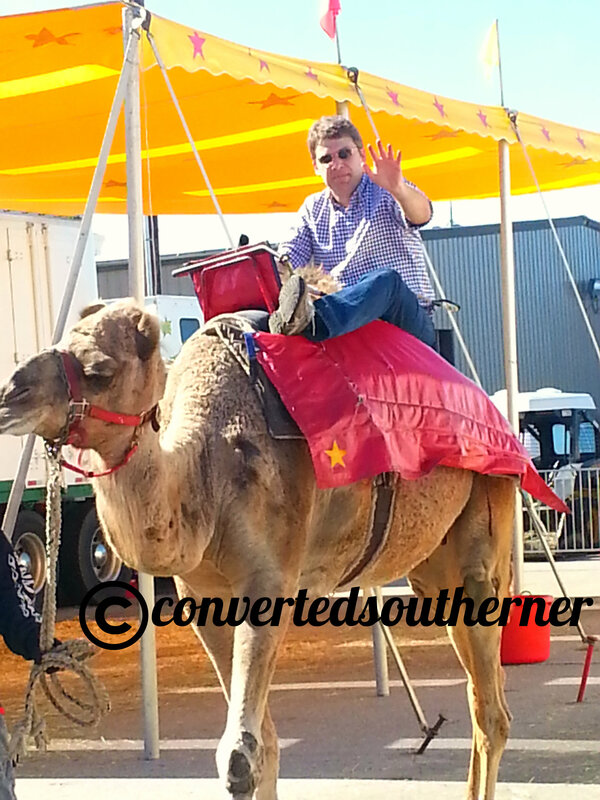 When Puff rode the camel…. and then smelled like camel. I love my friends, I love them even more when they let me take funny pictures of them. Every year they do a giant sand castle. The theme this year was Mother Goose and Nursery Rhymes. 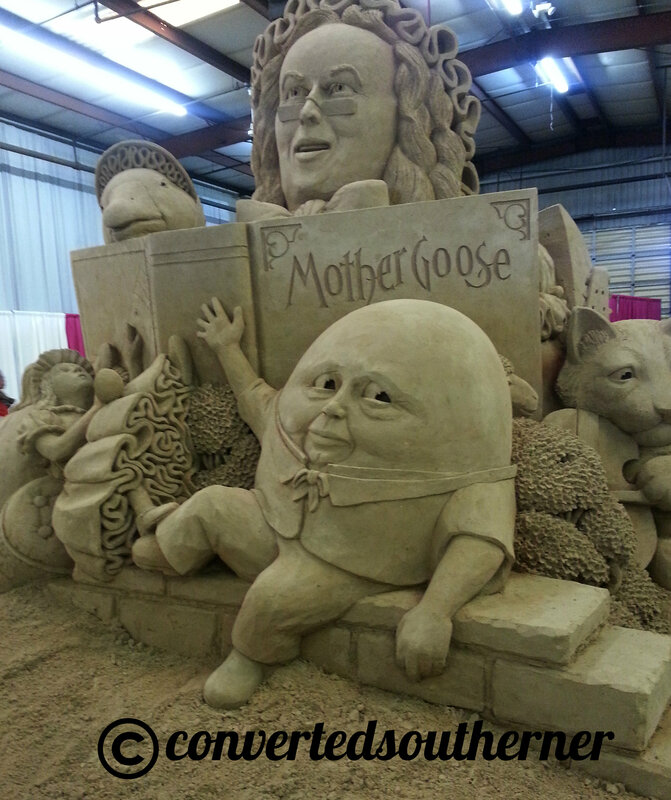 While the detail was amazing and it is a work of art, I think Mother Goose is looking a little like Ben Franklin… anyone?